Hydro 101 with Deonna Marie: The Newest Nutrients – Worth Raving About - Rosebud Magazine Hydroponics Lifestyle Growing And Entertainment! Jungle Juice is the most afforadble three-part nutrients package on the planet. 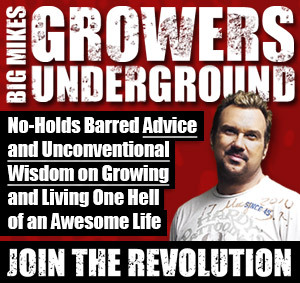 All growers know that high quality hydroponics nutrients give you your healthiest plants and most valuable harvests. What's really exciting is that hydroponics researchers have been working hard to give you more affordable nutrients choices that perform as well if not better than existing nutrients. 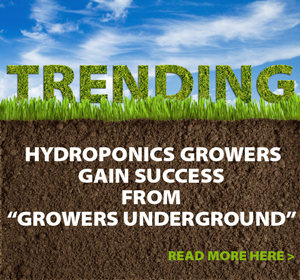 As you may know, my family and I manage a thriving California hydroponics retail store called Hydroponics Outlet, and this gives us the chance to find out directly from growers what they're getting the most value from. We're getting feedback from people just like you, so we know what really works for your garden. When it comes to nutrition, most growers think only of hydroponics nutrients, but I think of lighting too, because light is nutrition. For that, check out Chameleon plasma lighting, and high-output T5s. You can use plasma from start to finish, and can use T5s during veg. They're not as good as modern HID lighting, but they save money on electricity and they create less heat. A lot of growers are getting a value-added base nutrients product called Jungle Juice. It comes in 2-part or 3-part formulations, and growers are using it instead of higher-priced base nutrients that they've been using for years. The benefits of Jungle Juice are special additives and chelates that allow these affordable formulas to provide fast growth and high yield while saving you money-- Jungle Juice is priced about 40% less than base nutrients it compares with. Growers are also enjoying a combination of carbohydrates and beneficial microbes that create more biological action in root zones. What happens is that they feed a carbo/taste/aroma booster such as Bud Candy to their root zones along with beneficial microbes that like to have extra carbos as food. Beneficial microbes exist in natural healthy soil, but rarely do they exist in hydroponics root zones. Growers add them to hydro root zones to strengthen and protect roots; beneficials also boost growth and yield. You'll see several brands of beneficial microbes formulas on our store shelves. Our growers tell us using the combination of products Voodoo Juice, Piranha, and Tarantula is the comprehensive strategy to import beneficial microbes into their root zones for visible enhancement of roots and plant productivity. 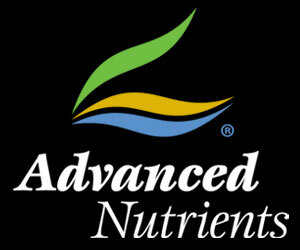 I'm sure you've got favorite nutrients and supplements that you love to work with. If something is working well for you, perhaps you're concerned about changing. On the other hand, when growers go for the Jungle Juice because it saves them money, and they find it works just as well as what they used before, it puts a smile on their face. When you want to find out what could improve your garden outcomes, feel free to talk to us at Hydroponics Outlet in Gilroy so we can find out more about your hydroponics needs, and help you get the best nutrients so your harvests make you happy! Deonna Marie is the hottest hydroponics expert on the planet.